Here are some of the more common frequently asked questions. If you have any other question which you would like answering, please get in touch. Usually between £20 - £60 per hour, though there are some instances where certain fees are fixed, such as legal work and tracing people. An investigator will usually ask for a fee up-front (known as a "retainer", usually around 50%) before taking a case. You probably would not find a (competent) investigator who would work for just an hour or two: there's usually a minimum charge of 4 hours. You would also be charged a mileage rate of 50p-90p per mile. There may be other charges also, but you can usually negotiate a daily rate, fixed rate or a price cap with the Private Investigator. Remember though that the cheapest isn't always the best!.Find an investigator you can trust and who you feel comfortable with, is sympathetic, understanding and empathetic and competent. My charges are generally £25.00 an hour for general investigation work. I will always work with you to arrange a suitable solution that will fit within your budget. Either by cash, bank transfer or paypal. A 50% up-front retainer fee will be requested from all private clients to cover the cost of the investigation. Can an investigator guarantee results? No. If an investigator claims they can guarantee you results, then my advice is to stay well clear. They are either seriously deluded or is lying to you. Can I use the evidence which you provide in Court? It's up to the judge or magistrate really. The still, video and audio evidence will be of high enough quality to use in a court and can be provided in a format which is court-user-friendly. Whether it is allowed be used in court is another matter entirely. The opposing solicitor or barrister, particularly if the evidence is detrimental to his or her client, may attempt to stop the evidence being used. It is then up to the judge. The long and short of it is, yes it can, but the judge or magistrate will usually make the final decision. I have seen some investigators offer a "No Results, No Charge" service. Do you offer this? No. Would you work for nothing? Beware of companies which offer this and ask yourself why they would! The "no results no charge" often comes with hidden extras (which you pay for) and is often a sales ploy used by investigation companies (some of which look very credible and plausible) to persuade you to part with your cash. What have you got to lose with an investigator who offers a "no results no charge" service? Quite a lot, actually. An incompetent or inexperienced investigator could cause you a heap of problems in the long run. They could not only compromise the investigation, but they could even compromise your anonymity - leaving you in an even worse situation! Their lack of professionalism could make your target even more suspicious and make the next (paid) investigator's job much more difficult and time-consuming: resulting in a greater financial cost to you. On top of that, many of the companies which offer to trace somebody on a "no trace, no fee" premise use simple computer searches, often resulting in information which may have been out of date a decade ago (they will charge you for this, by the way) and since they don't usually check on the address in person, you could conceivably end up with the address of somebody with the same, or even similar name (they'll charge you for that as well)! This could not only be very embarrassing for you, but could potentially place you in danger. Imagine going around to an address supplied by one of these companies to collect a debt owed to you by 'Joan Smith', only to find an enormous body-building wrestler called 'John Smith' who has just been released from prison and is known to have 'a bit of a temper'! Some may use illegal methods to trace somebody. You may be thinking, "so what, at least I've got the information I wanted", but then a few months down the line you have the police banging at your door and before you know it you have a criminal conviction for being complicit in some illegal hacking capacity! An unscrupulous investigator, or company, may even put you in a compromising situation by revealing to the person you are trying to trace, that you (the client) are looking for them (when you explicitly told them that the trace was to be in complete confidence and of the utmost discretion). Often at the end of a 'no results, no charge', you are often no better off. I always double-check at the property in person (or if it's in a different part of the country, have a reputable and trusted local investigator to do it for me - obviously with the same level of discretion and confidentiality). I have a good record of finding people (even people who try to stay hidden). It should be remembered though that not everybody can be found, and there are reasons for this, and when somebody cannot be found it usually entails more hours and more work on my part in finding clues as to where they have disappeared to. All of this will be in the comprehensive report I give you. Ask an investigator to prove their memberships and qualifications. Can they show you their public liability insurance? Can they show you their professional indemnity insurance? Are they really on the Data Protection Register? Most of these can be checked online. 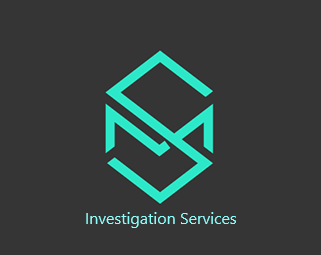 Anybody can claim to be an investigator and put on a website that they have this and that qualification, that they are a member of this and that professional organisation (some of the organisations I have checked on some websites from people claiming to be private investigators don't even exist!). If they are going to mislead you about this, what else are they going to mislead you about? Will the person be aware that they are under investigation? Not if you a employ a professional investigator - unless you want them to. I operate in the strictest confidence and you can be assured that the investigation will be professional and covert. I do ask though that you don't blow my cover by telling somebody else about it - even somebody you think you can trust! I can put my trust in a Private Investigator who claims they have been CRB-checked. They must be honest, reliable and trustworthy, mustn't they? You would think so, but it's not always the case. A CRB-check only means that they have been CRB-checked, nothing more. Surely that's good enough though, isn't it? Not always. For example, you could have somebody who has just been released from prison after serving a lengthy sentence for violent armed-robbery. They can order themselves a CRB-check and advertise on their website that they have been CRB-checked (which would be true) - but what they don't tell you is what exactly the CRB-check has revealed: that they are a violent and untrustworthy individual who you probably wouldn't trust to be left in the same room as your child's piggy-bank. They may well have been CRB-checked, but would you trust this person? I certainly wouldn't. I have worked with services who support victims of crime for several years. My work involves meeting vulnerable people (children and adults, male and female) in private. I had to pass an enhanced CRB-check to be allowed to do this and am reviewed on a regular basis. If you want to double-check my credentials, I can show them to you. Why are there no pictures of you on your website? Because I do not want to compromise any of my assignments - which would happen if people knew what I looked like. Privacy, confidentiality and discretion are paramount to any successful investigation, both for the safety of the client, as well as my own. Sharing pictures of myself, or any vehicles I may use, may compromise current or future assignments as well as my own or a client's safety. If people knew what I looked like,or what car I used for investigations, then that would make my job a whole lot harder and my work would be seriously compromised. I may as well go and get a car with 'PI' on the registration plate! Imagine if I was working undercover at a business and somebody saw my picture (as a private investigator) on a website, this would compromise the whole of the operation as well as ruin my professional credibility. This is why you won't find a photograph of either me or any vehicle which I may use for investigation work on my website (even most of my neighbours and friends don't know what I do for a living!). As a result of this I am anonymous, discreet, I blend-in well with others, and perhaps most importantly, nobody even suspects that they are under investigation - which is the way it should be. Also I want to keep myself and my family safe and don't want people who I have caught-out turning up on my doorstep baying for blood!